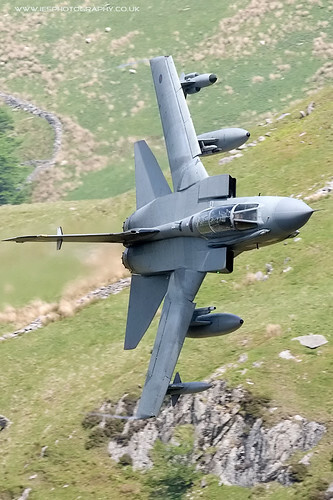 The Low Fly Zone in Machynlleth, Snowdonia in Wales is one of the best places to photograph low flying aircraft as they skim through the valleys only feet from the ground . 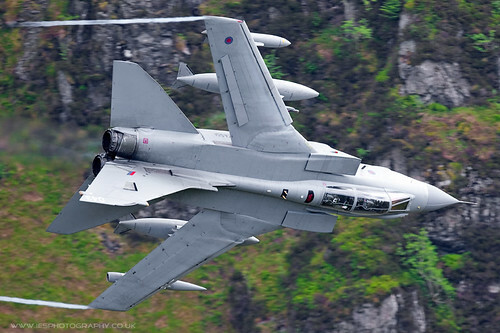 The Mach Loop is one of the busiest Low fly areas in the UK, coming under LFA7 and its close proximity to RAF Valley ensure a lot of traffic including BAe Hawks pass through the area. 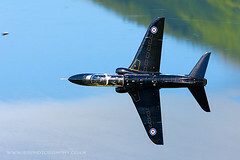 There are a few locations you can choose to stand to photograph the aircraft as there thunder around the Loop. 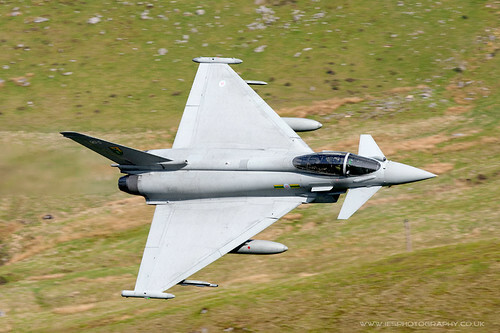 I chose 3 locations to visit during my 3 day visit, Corris Corner, Cad East and Cad West. To access all these locations a long and steep walk is required. I’d recommend taking everything you need up to your chosen spot as you really don’t want to be going back to the car if you have forgotten anything, as each walk is steep and between 20-30mins in which it is likely some aircraft will fly past you as you on your way down the hill with no camera! As you can see from the photo below the view from Corris Corner is superb and when the sun is shining this location is great in the morning until around midday. A Hawk passed through the Valley and turns right at Corris Corner over Tal-y-llyn Lake. This locations seems to be the most popular for photographers although if its bright sunshine in the morning you are shooting into the sun. This is the view taken on a 300mm on a x1.3 body from close to the top of the hill looking down on other photographers. The A487 road is way down at the bottom out of view. Parking is good as there is a lay by suitable for around 20-30 cars and on our visit a burger van doing bacon rolls. 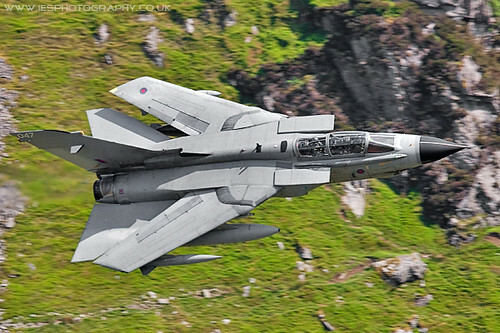 I was using a 300mm F2.8 IS L and a 100-400, from the top of the hill a Tornado or Typhoon were full frame on the 300mm. Going lower down would give you more of a head on shot. Although as we saw over the 3 days each pass is unique, so don’t always expect them to fly exactly the same line. Opposite to Cad West about 15-20mins walk to the top gives you create light in the morning. The down side is your going to get a belly shot unless you walk towards the front of the ridge. We walked as far forward as we could. 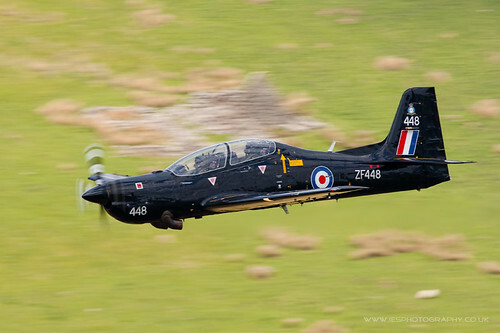 Have missed the Low Fly web site since it went, great to see something back. 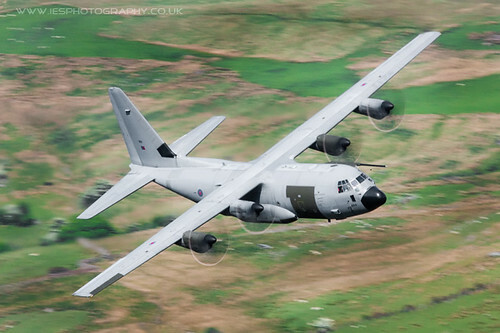 I live/work in Arthog and love to see/hear the aircraft go through, quite often above where I live and work. I’m not a photographer but love to see the superb pictures others take.